For the Highest Prices on your Scrap Metal. For the Best Value for All Your Scrap Metal. For the Trust and Confidence of a National Scrap Metal Leader. Metalico Brownsville is a full-service scrap metal recycler proven and trusted to deliver an unmatched combination of fair and competitive pricing plus high quality customer service in a safe, convenient, and clean environment. Consistency Competitive and fair pricing, every day, every time. No Bait and Switch Tactics We won’t promise you a high price and pay you significantly less when you arrive. Simple Process Easy, trusted process for scrap metal redemption. Clean Yard Safe, clean and convenient locations. 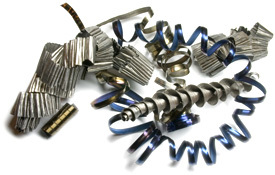 Acceptable Metals We accept a wide array of scrap metal to maximize your return on time invested. Unmatched Service – Reliable and efficient. – Custom tailored containers, metal retrieval options, scales, rigging services, etc. Environmentally Responsible We are responsible stewards of our environment. 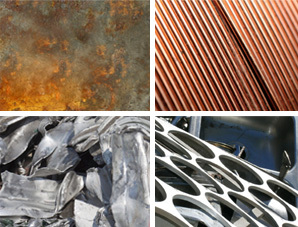 Metalico wants to buy your ferrous and non-ferrous items such as steel, brass, copper, and aluminum. We’ll work with you to create a recycling plan that can become a profit center for your business.